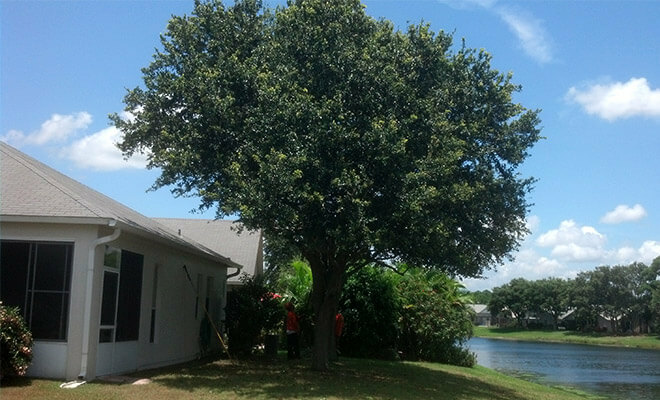 Tree Trimming - Tree Service Express, Inc.
Tree Trimming should only be performed by a company who has an ISA certified arborist running the crew. While it may seem that trimming a tree is not a big deal, it is a very big deal and becomes more important as the tree grows. Improperly trimmed or pruned trees can end up developing all kinds of problems. From rot in cuts made too close and do not heal correctly, to shock of a tree from having too much taken off at one time, to serious imbalances and unnatural growth patterns from "topping" or other mistakes made in trimming the wrong branches off at the wrong times. Unnatural growth patterns and imbalances in the trees weaken the limb structure and increase the chances of limbs breaking and falling on structures, people or surrounding property. What may save you a few bucks in the short term, could end up costing much more by having property damage, having to have the trees completely re-pruned to try and help them live longer, and in many cases, having to have the trees we love so much removed because they grow into hazards when they are sick, rotted or weakened. 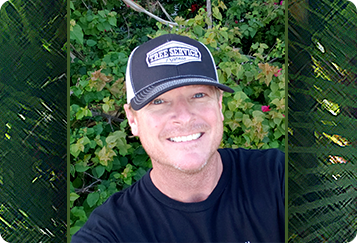 Call today for your free tree service quote with an ISA certified arborist. See for yourself the difference a qualified arborist will make, even just in the recommendation itself. Who do you trust? Too many people by a chainsaw and a trailer and call themselves a tree service. This is one of the most dangerous industries there are, don't trust your trees and property to just anyone. We service all of Brevard County including Palm Bay, and Indian River County all the way down to Vero Beach. We use very modern and strict safety practices as well as carry 2 million in insurance for your protection. Call or click to schedule you free quote today!